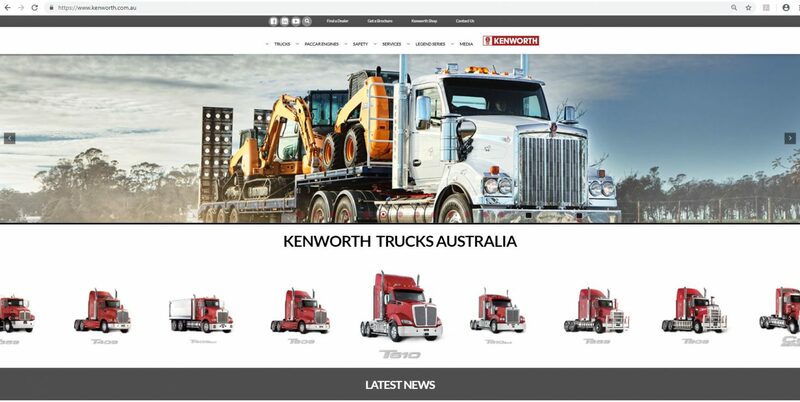 PACCAR Australia is proud to announce the launch of the new Kenworth website. With a fresh new look and improved functionality, the website has been designed to offer simple navigation through Kenworth’s range of products and services. Showcasing all that encompasses the ‘Australian Made. World’s Best.’ tagline, Kenworth has created a website that is responsive, allowing easy viewing on all devices and affords the user the opportunity to share news, product information and videos across major social networking sites. Extensive Imagery – trucks in application images have been used throughout the website to show the diversity and versatility of Kenworth trucks. Updated Content – content has been refreshed and the new line of Kenworth model range brochures and specification sheets may be downloaded. Search Function – delivers a list of content on the chosen search item including content imagery, making it easier to locate what you are looking for. Latest News – continually updated, this is available on the home page in the ‘Latest News’ section. Legend Series microsite – this one is for the enthusiasts, with a dedicated Legend 900 and Legend 950 page including video, release date and special features. Visit www.kenworth.com.au to experience the new site and see our latest offers and updates.